If you watched the Super Bowl last weekend and paid attention to the commercials, you might recall the cool Amazon commercials. One of the devices seen in the commercials was the AmazonBasics Microwave that is Alexa-powered. That means you can use your voice to activate presets and cook or reheat food. The normal retail price for the AmazonBasics Microwave is $59.99, but it is on sale right now for $41.99. That is a 30% discount saving you $18 on a device that was already surprisingly cheap. The catch right now is that the discount has Amazon out of stock on the microwave. The online giant lists more stock as coming on February 16. That means if you order now you could have it by February 19. 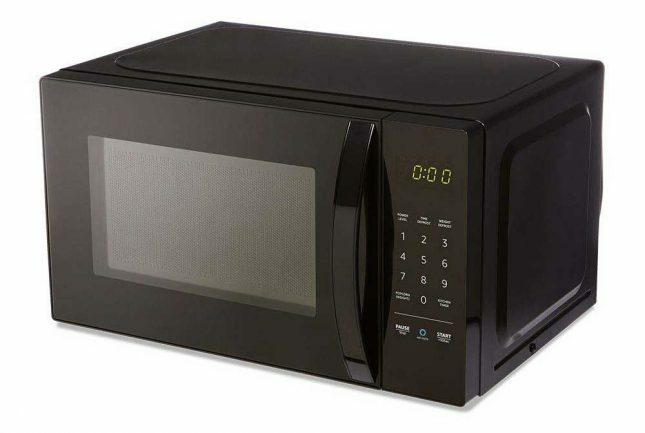 The microwave is a small 0.7 cu-ft unit that has 700W of power. Its small size makes it easy to fit into any kitchen or dorm room. Amazon also offers the microwave bundled with an Echo Dot for $65.98.